Newspapers of any time period can be so helpful in doing your family research. For example, I just came across an article from July 1930 in Texas for a friend that proved that her mother and aunt did go out to California after winning a beauty contest in Florida for a movie screen test. They had stopped to visit a family friend in Texas and because they were Florida beauty queens and going to California, an article was written about them. So whenever a large selection of newspaper become digital, making it easier to search take advantage of it. 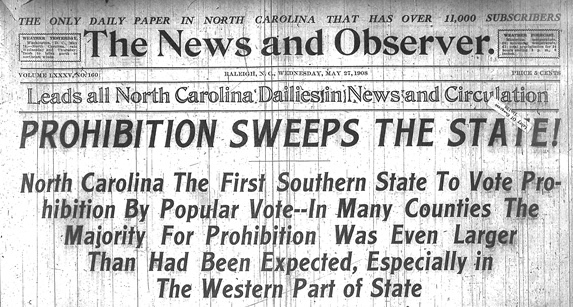 There are many newspapers from North Carolina online by DigitalNC.org. For the Franklin, NC region, the ‘Franklin Times‘ just went online. 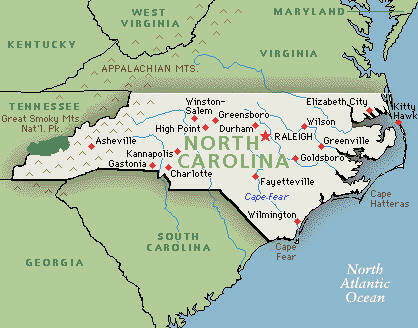 There are nearly 74,500 issues covering many decades and location across North Carolina. You can search by location, newspaper name, dates, or a keyword (such a surname) using the ‘Advance Search‘ page. Besides finding interesting articles on family names, hometowns, businesses, you can also see with advertisements what interested people in North Carolina at certain times. For each name or keyword placed in the search, any results will also highlight that word so you can locate it quickly. Besides articles on national interest, most newspapers focused much of their articles on local news and about the residents of the town or county. That will be music to your ears, you don’t know what you might discover about an ancestor that can only be found in the newspaper. 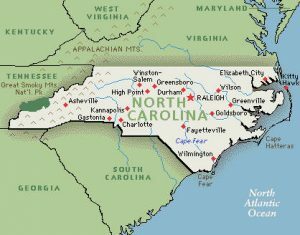 Also, it doesn’t mean you ancestor only could have lived in North Carolina. 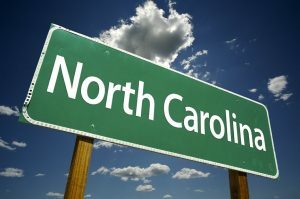 With the bordering states of Virginia, South Carolina, Tennessee, or Georgia your ancestors could have traveled, had businesses or other relatives in anyone of these bordering states. 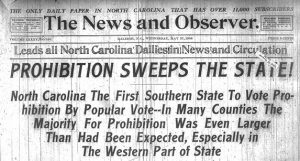 So any relatives, of most time frames, from the 1800s to 1980s, living or working in and around North Carolina might be written about or referred to in any of these online newspapers. 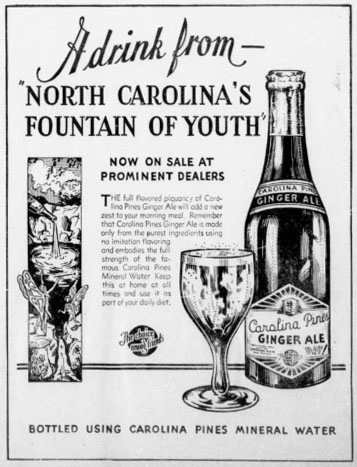 Photos: NC Sign, NC Map; 1908 Prohibition in NC and 1933 Ginger Ale AD.